All year round snug swim suit to keep little one warm in & out of the water. With poppered gusset for quick changes. 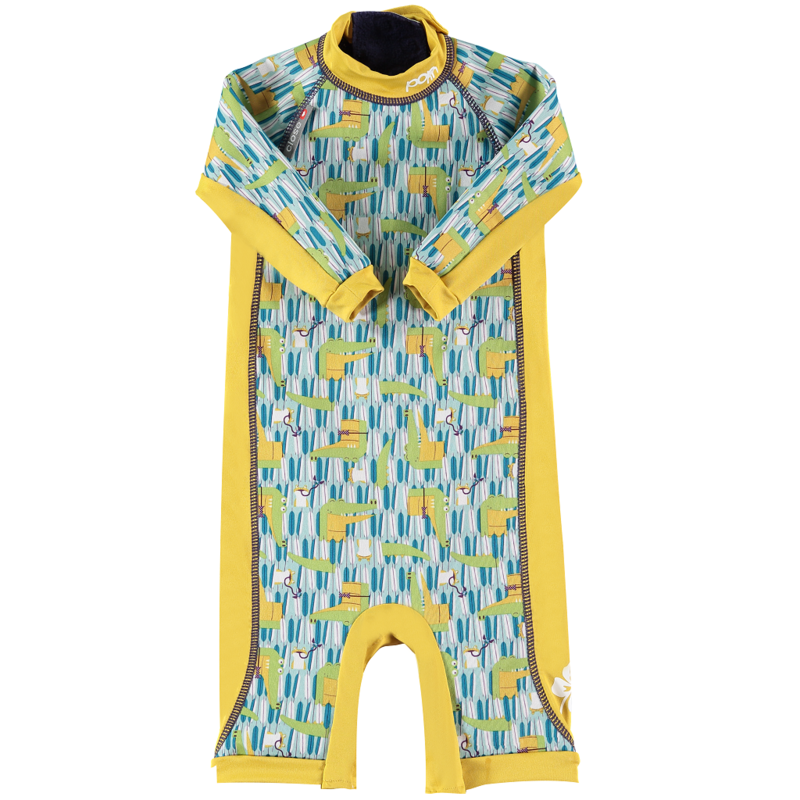 Swimming at the beach or pool is a doddle with the Close Toddler Snug Suit. Ideal all year round, the special UPF50+ 3 ply laminate will keep little one protected in and out of the water, whilst the soft fleecy layer inside helps keep them snug and warm so you can enjoy your splash about for longer. The Close Toddler Snug Suit is designed to be worn over a swim nappy if needed and to help make change times quick and easy the gusset simply poppers open. 1 x Close Pop-in Toddler Snug Suit (Crocodile). Can be worn with swim nappy. Provides UP50+ sun protection. Material: 100% polyester with PU laminate.